If it were a country, the aviation industry would rank in the world's top 10 largest emitters. In fact, aviation is one of the fastest-growing sources of global pollution. America needs to step up its leadership role to ensure real results for climate action. A firm cap on aviation emissions is urgently needed if we are going to avert the catastrophic climate shifts that will prove so damaging to our communities in the coming years. Take Action: Ask Sec. Kerry to ensure that the U.S. steps up its leadership in curbing aviation pollution. Please ensure that America leads on aviation climate action. I am writing today to request that America steps up its leadership in curbing aviation climate pollution. As you know, aviation is one of the fastest-growing sources of global pollution. It is absolutely imperative that we address it if we are going to avoid the impending climate crisis, and the catastrophic climate shifts that will prove so damaging to our communities in the coming years. As the International Civil Aviation Organization (ICAO) works towards placing a global limit on carbon pollution from aviation, it is crucial that the U.S. plays a key role, and that the American aviation industry participates in these efforts. 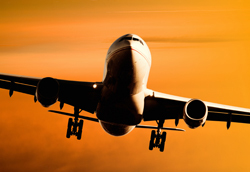 Please do all you can to ensure that America leads on aviation climate action.